Mobile devices are significantly increased across the world, marketers, users and more than half of the world’s population are using the mobile phone devices for various purposes. Now a day, the mobile marketing is the current buzz among the internet marketers and advertising. 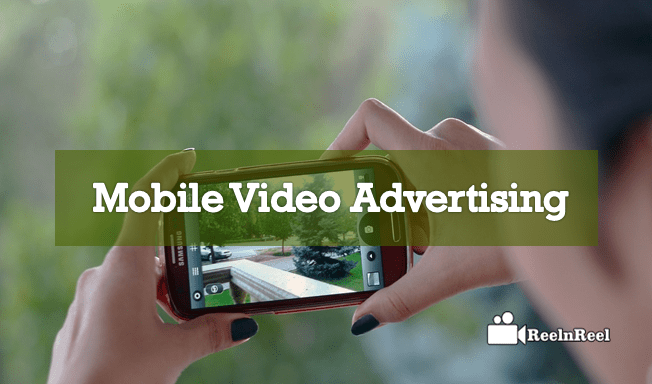 Many marketers are investing in the Mobile Video Advertising practices which are in turn helps them for getting better revenue than any other tactics. Marketers are very interested in doing different campaigns to promote their brands on different platforms and they are mostly involved and targeted the mobile video advertising these days. The customers are may not be interested in watching by staying in front of the long videos. So, we have to take care of the length. The videos that we create must not be lengthy and commercial. It must entertain the audience. So, that they felt interested towards the video. Try to make a short form type videos that are easy to share within less time. So, we have to be careful that the video clips are sharable easily onto the devices. The mobile ecosystem is different from the normal incompatibility, format and many other factors will effect on it. So, the advertisement must be created with particular bandwidth for different types of smart devices. The content must be with good quality as the quality content is the only thing to attract the customers towards the advertisement on the mobile within the short span. Nearly 75% of the mobile video advertising inventory was getting purchased by in-app. It has the option of serving the media in an opt-in strength or capacity in which the consumers can make choices about the videos which is one of the parts of the app experience. The opt-in video has a greater engagement, and the completion rates are the substantial and plays automatically in apps. The pre-roll ads have dominated the advertising with the videos. There are many other additional options are also there to the marketers as well as the publishers to take care of. The marketers are mainly interested and as well as follow the different unique methods for the better consumer engagement. The engagement of the consumers or customers is the man goal of the mobile video advertising. So, our video must be created according to the customer engagement as a target. There are different types of data plans are has been in use by the customers who are following the different networks. The wireless data networks offer a particular data plan. Some may cost reasonable, and some will be expensive. So, our mobile Ad must be friendly with the customers regarding usage of the plans. The trends are moving towards the moments which are small and short that can be delivered quickly to the audience. The mobile-driven data is easy to access by the customers. So, marketers are focusing on the short length advertisements all the time. Location based marketing is another trend in the mobile video advertising. Advertisers are advertising their brands with the geotagging the videos. So, that the customers are very comfortable in finding the certain place and it allows the customers to access the navigation to the particular place, and there is a chance to know about the further information on brands. Mobile video advertising benefitted the marketers as well as the consumers greatly these days. Marketers are trying to achieve the complete potential to succeed with the mobile video ads online. It becomes a powerful to focus on the better engagement of the audience with their brand. We can have a direct communication with the customers through the mobile video advertising. The ad can be seen by millions of customers on mobile as the application usage has increased day by day. So, the ad view on the mobiles are attracting the consumers towards the brands. The mobile video ads are easily shareable to a large community than the other devices. Even the mouth to advertisement also works with the customers with their friends or many other people about the videos in mobile. Mobile video ads make the brand become viral online and offline easily. So, it is the biggest benefit for the marketers by using the mobile video ads. Youtube also went through the audience through its pre-roll mobile video ads which are designed to match the mobile video formats. The skippable video ads on the mobile and tablets are trending on the mobile phones and tablet devices these days. Previously, the users can skip the ads when they are watching the movie on the laptop or PCs. The advertisers are also beneficial because they have to pay if the user watches it for 30 seconds. This makes the Youtube as well as the advertisers more beneficial. The skippable ads of the Youtube are viral, and many publishers and consumers are paying more attention towards the ads. Facebook was successfully getting figured out about the ads that are nailing the revenue on the mobile devices. It has started testing the video ad market online by comparing the ad revenues and the strategies that are following the Google and many other platforms. It has started the mobile app downloads and made its success in the business with the mobile app advertising. It is estimated that nearly 42 percent of the traffic on Youtube is getting from the mobile phone users when compared to the previous years. Nearly a 52 million people are watching the video on mobile phones in US. The programmatic video buying and the marketing with the ROI are has been on the rise in the case of the mobile video ads. The ad spent on the mobile video raised when compared to the previous statistical estimations and rates. The mobile app video ads are on the rise today with the increase in the engagement of people with the different types of application on the smartphones. So, with the influence of facebooks video app advertising also influenced the marketers and as well as consumers to better benefited from the mobile video app advertising.